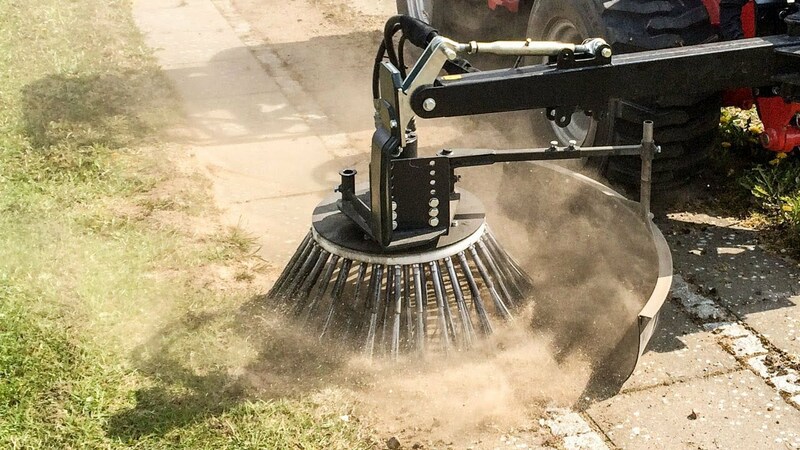 GreenTec offers a weed brush for effective cleaning of sidewalks, gutters, bicycle paths, courtyards, anywhere where there are tiles, asphalt or paving stones. Weed Clearing Brush BR 90 is mounted on a reach mower arm or the like and is hydraulically driven, Weed clearing Brush BR 70 can be mounted on skid steer loader through the Multi Carrier HXF attachment frame. The strong steel brushes provide effective cleaning of gutters filled with sludge.